Brigid�mother, daughter, healer, bard, warrior, fire goddess, goddess of the oak, animals, and magic. Brigid of the spring, her festival Imbolc, oversees fertility of all kinds. Brigid is many things to many people. 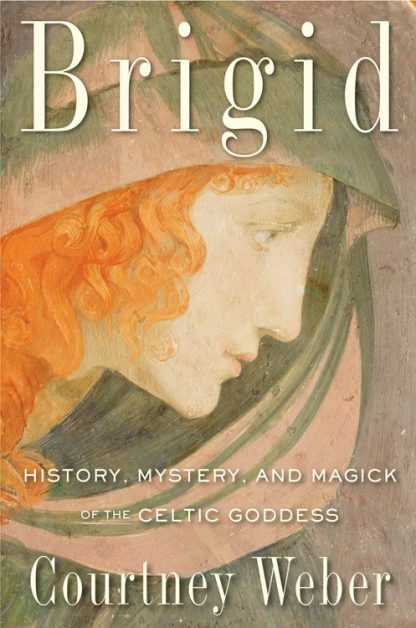 In this enticing book, Courtney Weber offers up a wide-ranging exposition and celebration of all things Brigid, who is arguably the most popular figure in Celtic mythology and religion. Meet Brigid in her various incarnations�Celtic Pagan Goddess, Christian Saint, and Voudon Loa. Each chapter ends with guided meditations and exercises that help readers tap into Brigid�s healing powers. Inside you�ll find Brigid-focused spells, blessings, recipes, and rituals for love, harmony, protection, and much more.